Following a morning in which Utah skeleton rider Noelle Pikus-Pace shattered a long-standing track record at the Utah Olympic Park to win the women’s race and American Matt Antoine cruised to a solid third-place finish in the men’s race, the United States bobsledders took to the ice to prove Friday morning’s American dominance was no fluke. 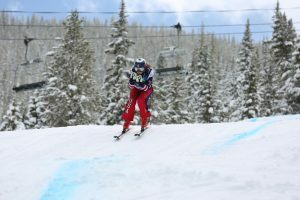 They didn’t disappoint, as the American women took first, third and fourth place on Friday night and swept the podium on Saturday morning, something that hadn’t been done by Team USA since February of 2001, also in Park City. On the men’s side, American dominance continued, with Park City native Steven Holcomb finishing first in both weekend races, winning gold in the two-man race and the four-man event. Holcomb and teammate Chris Fogt paired up for both the two-man and four-man golds, with Curt Tomasevicz and Steve Langton hopping on board in the four-man event. On Friday night, driver Elana Meyers and brakeman Aja Evans found themselves sitting in first place in the women’s race with just one sled left to go. 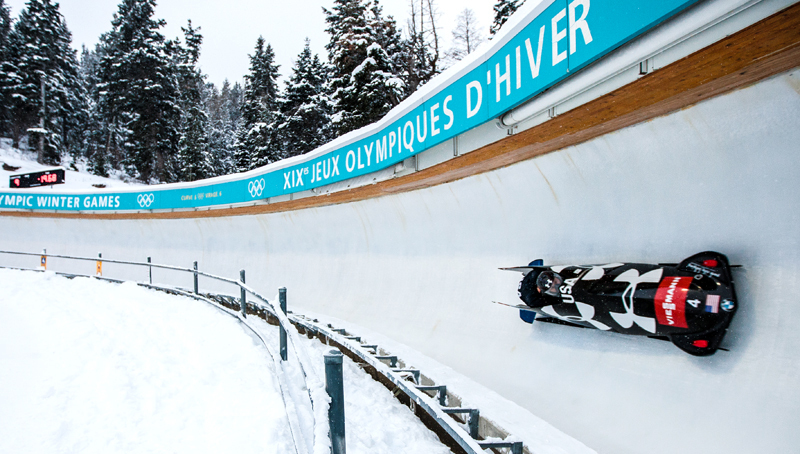 But, it was the sled of Canadians Kallie Humphries and Heather Moyse, who had the fastest time in the first run. Watching from the finish area, Meyers and Evans saw Humphries and Moyse make a couple mistakes, giving Meyers and Evans the gold medal with a total time of 1 minute, 37.67 seconds. "It was my first win as a pilot and Aja’s first win, period," Meyers said. "So we’re really excited about this and hoping to use this momentum." Jamie Greubel and Katie Eberling (1:37.86) finished in third place Friday night, with Jazmine Fenlator and Emily Azevedo (1:38.15) taking fourth place. "It’s really great to be on home ice," Fenlator said. "I’m always happy to be in Park City. You always have a great crowd to cheer USA on." After Friday’s 1-3-4 finish, the American women improved on Saturday, sweeping the podium. Meyers and Evans once again took gold, this time with a total time of 1:38.61, while Greubel and Lolo Jones finished tied for second with Fenlator and Lauryn Williams (1:39.24). 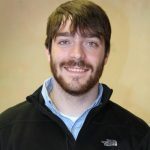 Fenlator said switching brakemen is something that will be necessary early on as Team USA tries to figure out its best roster for the upcoming Olympics in Sochi, Russia. 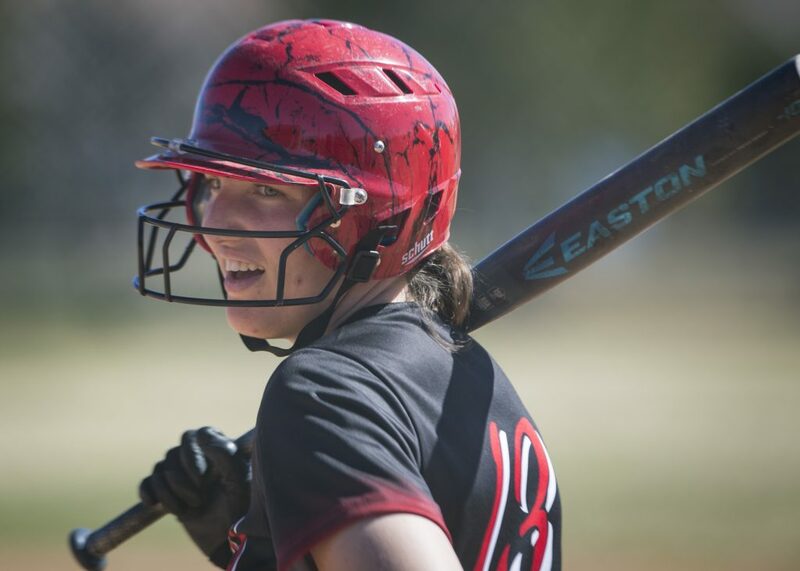 "We have a great group of athletes and we want to figure out where we stand early in the season so we can dial in later in the season," she said. But, she added, she sees the mix-ups as a positive thing. "To be honest, not knowing your brakeman is kind of exciting," she said. "I’ve grown to train with each of these brakemen and know their ins and outs, whether they’re fairly new or veterans. And, at the end of the day, the person standing next to you has the same goals – we want to push fast, we want to execute down the track and we want top finishes. No matter who’s next to me, I’m excited to race with them and to have those opportunities." And, as Azevedo pointed out, the competition will make sure the best rise to the occasion. "Any time you get a chance to race, it’s a great opportunity," she said. "We have such a competitive squad and such a competitive group of brakemen. You just have to take every opportunity as a chance to show what you can do." Heading into another U.S.-based World Cup event in Lake Placid, N.Y., this weekend, the Team USA bobsledders are hoping to keep up their dominant performances. After all, they hope to sweep the podium in Sochi in February. "We’re definitely showing the world ‘Don’t mess with us,’" Fenlator said. "You may think we’re underdogs here and there, but nothing’s going to hold us back. I think this is definitely a good step in the right direction."